Genae Girard and her lawsuit against Myriad Genetics may just have altered the course of humanity. Genae was the lead plaintiff in a lawsuit against the U.S. Patent Office and Myriad Genetics, who had been allowed to patent human genes that were associated with breast and ovarian cancer, then monopolize the testing procedure. Genae was in her early 30′s and diagnosed with having a gene (BRCA) that leads to cancer. When she asked for a 2nd opinion, she was told that not only was Myriad the only company that could do the test, but even they would not retest her. Incredibly, this was allowed to go on with the blessing of the U.S. Government. In fact many other companies had patents pending for all different kinds of human genes that have been voided due to Genae’s lawsuit. The Unanimous Supreme Court decision in June of 2013 said, among other things, that it is unconstitutional to patent anything that exists in nature. The justices also said that what Myriad had done by creating this monopoly hurt every woman who had the same diagnosis as Genae. They had been able to call all the shots in this field, including which insurance they would accept and had banked all the data relating to their diagnoses. The ruling broke the monopoly of Myriad Genetics over this incredibly important test. They had been charging an astronomical $3,500 just for the test, but with competition now allowed again, the price should drop to $150. Possibly more importantly, other companies will not be able to patent parts of the human body. How this will effect a mega multinational corporation like Monsanto, who has patented their seeds, has yet to be seen. But needless to say, Genae and her co-plaintiffs have changed the world. Jason Hartman: It’s my pleasure to welcome Genae Girard to the show. Genae was the lead plaintiff in the recent Supreme Court case where there was a unanimous decision which ruled that the human gene patenting was unconstitutional. I am very glad to talk about this on the show. She was featured on 60 Minutes, on Info Wars with Alex Jones, and it’s just great to have her here today. Genae is coming to us today from Austin, Texas, a great place. Genae, how are you doing? Ganae Girard: I can’t complain. I really appreciate you having me on your show. Jason Hartman: Well, it’s good to have you. I have long been weary of companies like Monsanto and other big players in the corporatocracy who think that they can patent nature. And I’ve really struggled with this. On the one hand you think, well patent law, the fact that you can protect intellectual property, that’s something that creates a lot of research and development where people and companies wouldn’t bother to research these things and think of these ideas and do this stuff. And that leads to advancement. But on the other hand, it locks up things and you have these entire businesses that are based around the concept of what’s called “patent trolling” where they just look to sue people and companies for patent violations, which are sometimes pretty ridiculous frankly. So tell us your story, and what happened and how this case got into court and how you played a part in it, if you would. Ganae Girard: Sure. Well, basically the reason I got involved was I was diagnosed at 36 with breast cancer. So at that time, they wanted me to go ahead and take the bracket 1 and bracket 2 test, which is exactly what we’re talking about with Myriad Laboratory. They were the only ones that could run the test because they had a patent on these genes. These are the breast cancer genes. If you’re bracket 1 positive, that means you have a 8 times higher likelihood of a reoccurrence. If you’re bracket 2 positive, you have an 8 times higher likelihood of not only getting a breast cancer reoccurrence, but also ovarian cancer. So being so young, they were very concerned. Because a lot of times when you’re young, it can be more aggressive because it’s estrogen fed, a lot of these cancers. So I wanted to, and I was encouraged to the test to see what my odds were, if they were higher than your average bear, if you will, and if that was the case, then I could make some decisions based on that. They were pretty radical, really. So my father being a physician and a radiologist, I had a second opinion along the way with everything. My biopsies, my lab testing… and so I wanted a second opinion because I came back bracket 2 positive with Myriad. Well, they indicated that I couldn’t get a second test run, nor would my insurance pay for it. Well, if I have to make the decision to get a double mastectomy and my ovaries out, that’s the finalization of not having children, especially being young and I didn’t have any children and nor do I now, that was a really big deal. And I couldn’t fathom that only one company could run it. So we kind of dug into it and found out that other companies actually have the technology to run it, but because Myriad had the patent, they could slap a cease and desist order for anybody else that tried to run the test. Jason Hartman: So what does this test do then? And explain their patent a little bit more. I want to ask you actually, to take the side of the company and just indulge that for a moment, like what do they do to deserve this patent? Did they spend half a billion dollars researching something that led to this test that wasn’t there before? Ganae Girard: No. And that’s a really good question. I’m an entrepreneur and have been all of my life, if this patent was on the technology, I wouldn’t have a problem with that. The original testing came from the University of Utah. And then the scientist from the University of Utah got together with a private corporation that had discovered the genes and then they applied for the patent, and our US government allowed it. Jason Hartman: Patenting the genome in general, I guess companies just had to spend a bunch of money figuring out and mapping the genome, right? So certain companies just took parts of it and then other companies took other parts, and they all applied for their various patents? Is that what happened? Ganae Girard: I don’t know how many other companies applied for patents, to be honest with you, but I know that there were, when the court case started, there were 20 other genes in a cue to be patented. And these revolved around things like hearing loss research, eye sight issues, MS, all sorts of things. And so many companies were trying to patent just like Myriad. And it’s a really big problem, because it’s unconstitutional to patent anything that exists in nature. Well why isn’t our DNA a part of nature? It’s really hard to fathom. Jason Hartman: Well, yeah. I completely agree, but who says it’s unconstitutional? Just the recent Supreme Court decision? Because you look at a company like Monsanto, and I think what they’re doing in some cases, is just pure evil. The fact that they’re attacking these small farmers, I don’t know. It’s just hard for me to understand, as a capitalist like you, I am a total believer in capitalism, okay? Ganae Girard: I am too. Jason Hartman: I think it’s the greatest thing ever. It’s created more human liberty than any other system, easily. But this really isn’t capitalism, it’s cronyism, it feels like. Ganae Girard: It really is. Jason Hartman: But who says it’s unconstitutional to patent nature? Is that something you’re saying? Is it something that came out of this case? The Supreme Court struck down their patent, right? Ganae Girard: Yeah, it’s in the constitution. It’s in our laws, so I’m not sure exactly how they got away with it, but they basically took a gene sequence… one of the judges made a really good point. He said, “Just because you extract a leaf from a tree, doesn’t mean that you can patent that.” So that’s really what he was saying, was just because you extract DNA or a genome subset, it’s still nature. So he simplified it but it made pure sense to me. This was not an easy sell to the public, because people didn’t understand what the case was about, they couldn’t understand that a company was allowed to patent a part of the body. And then myself and four other plaintiffs, there were five total, when we would talk about it, like you said, go on 60 Minutes, etc. people were just dumbfounded that that could even happen. So when we would talk about it and go in the public eye, it was a really difficult thing for people to understand. However, we did have what’s called friends of the court. We had about 150 various entities, including the American Medical Association, some really big folks that got behind this case. And that was a really big deal too, because they wrote about it in their publications, and tried to get the word out. But this really isn’t just about breast cancer. this really impacts all areas of medicine and research. And isn’t it scary to think that one company, Myriad, has banked all of our breast cancer, bracket 1 and bracket 2 data? There could be certain genetic components that we don’t know about, there could be certain areas in the country that are more prone to it because of contaminated water, they have all of the data and they are not required to give it up. Jason Hartman: Wow. That seems like it should just be something in the public domain. So how did this case happen? You wanted to get this test… just take us through the chronology of what happened. You wanted to get this test, you were told your insurance wouldn’t pay for it and it cost 36 hundred dollars, and you just intuitively knew it should cost less, right? Jason Hartman: Well, wait just a moment before you talk about that. So what happened next? What did you do? You went and saw a lawyer? Ganae Girard: No, actually the ACLU has a woman’s right project, and somebody that I know was actually, they requested her to come in and do an interview to be a possible plaintiff, and she mentioned me because I was one of the people that had a different experience. So because I look like everybody’s sister or mom or whatever, I look average, plus I’m a decent speaker, they thought I would play a pretty good role trying to get the message across. So they interviewed me and so that’s how that occurred. It was through the ACLU. Jason Hartman: Okay, so the ACLU took the case, and where did it go? It went to a local court, probably in Texas and then up to a federal court and then to the Supreme Court? What was that series of events? Ganae Girard: It went from a state court in New York, to a federal court, up to the Supreme Court, the Supreme Court rejected it. It went back to the federal court, the federal court ruled against, and then it went back up to the Supreme Court. It has been just terrible. It’s been three years of my life. It’s amazing, our court system. Jason Hartman: It’s pretty bad. It’s a mess. But when did the Supreme Court ruling happen in your favor? Ganae Girard: It was two months ago. Jason Hartman: Two months ago, okay. And so the outcome of that is what? It means that they don’t hold the patent anymore, right? The patent was rendered invalid, is that what’s happened? Ganae Girard: That’s correct. 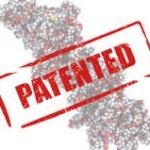 And it was also found that other companies cannot patent genes. They can’t patent genetic portions within our DNA. Jason Hartman: That’s a massive change. Your case, and I know it’s not just you, there are many other plaintiffs of course, but this case probably had a huge impact on the stock market I would assume, on these biotech companies and their stock values, right? Ganae Girard: You would think so. And you would think that people would vote them out, so to speak. But it didn’t have as big of an impact as I thought it would in the stock market, believe it or not. You would think so. Jason Hartman: I mean that had to just change business plans of all these biotech companies that were probably hinging on the value of these patents, right? Ganae Girard: Well, yes. A lot of them had to switch gears and put their focus in other areas of research. Jason Hartman: Yeah, on more legitimate things, right? Unbelievable. What else would you like people to know about this? Ganae Girard: Well, it was a landmark case in my opinion. It impacts research, I believe that it’s going to further research in medicine by opening up the door and not having these monopolies where they gauge patients and insurance companies. I’m hoping that those days are over, at least in the world of DNA testing. I think that it should be widely available so that patients can make decisions based on what their best interest is. Just in the breast cancer world alone, over 120 thousand women are diagnosed each year, and that’s huge. So to have this monopoly… I knew a number of women that were in cues in their counties and respective cities that couldn’t afford it, and they were waiting to get on a waiting list to get the test. Well, you can’t wait when you have cancer. You’ve got to jump on it, you’ve got to make decisions, you’ve got to educate yourself the best you can, and it really is going to impact a number of areas of medicine. We’ve already seen it start to happen. Jason Hartman: That’s the old thing about socialized medicine, is that they just let people die waiting in line, because the treatments are doled out so slowly. That’s been the thing everybody’s talked about with the British System for so many years. But that’s something else, that’s really something else. Are there any other areas, I’m sure as you were occupied with this case, and congratulations to you, and to really all of us, so thank you for fighting the good fight. But are there any other areas where this is prevalent? I think the Monsanto example is a good one, with these hybrid seeds they’ve got that is also patenting nature. And what this is, for people who don’t know, as I understand it, is these seeds that don’t regenerate on purpose, they’re designed that way so that you have to buy them next time around form Monsanto again. And there have been cases where these have blown into other fields of a neighboring farm, and Monsanto has sued this poor little farmer out of business. They just can’t fight the fight. They don’t have the legal team. It’s just unbelievable. But are there other areas where there’s these abusive patent practices like this? Ganae Girard: Mainly the ones that I’m familiar with were the ones that were in the cue, ones that revolved around research and development and drugs for different disease, and different things like that. Those are the ones that I’m aware of that were basically stopped from being able to patent other types of genes. And it’s hugely important, because to return research and to have a monopoly, it’s just ridiculous. There are so many pharmaceutical companies even now that have an exclusive development and some of the drugs aren’t going generic, they block them. For example, there was one company, Pfizer, the Purple Pill as everybody knows, well there was a company that came out with a generic purple pill. Well Pfizer fought it because they were having a hundred million dollars in sales a day. Well, to cost the cost of a lawyer to go out and block this company just because of the purple, they said it was trademarked, that cost them nothing. Jason Hartman: So you mean it didn’t do the same thing that Viagra did? Jason Hartman: Oh I thought it was… oh it’s blue, right? The little blue pill. Okay, sorry. I got the wrong one. I mean, the most famous drug in the world has definitely got to be Viagra. It’s like the bud of every other joke. So was it just the naming that you’re talking about? Ganae Girard: The color. The generic came out in purple. Jason Hartman: Yeah, but did the generic do the same thing as Prilosec? Jason Hartman: Okay, it did. Ganae Girard: But what I’m saying is Pfizer could pay some lawyers a few thousand bucks to block it for a while and why wouldn’t they? Because they make a hundred million dollars a day. Jason Hartman: Yeah, but that seems like kind of a different issue. I think it’s okay that pharmaceutical companies can patent drugs, because somebody’s got to be willing to do the research and they’re never going to get the funding to do the research unless they can protect it for a certain amount of time and get a head start. That’s what the original whole concept of patent law was, and it seemed legit in its essence. Ganae Girard: I believe the limit is 22 years, and I agree with you. However, what I’m saying is I’m trying to tell you the power that these pharmaceutical and research companies have in the market. The generic came out legally, but they blocked it because it was purple. Jason Hartman: Oh okay, that’s what you’re saying. That’s a good distinction. Okay. I get it. Ganae Girard: Yeah, it’s just they have a lot of power. They have a lot of power. Myriad for example, was doing a hundred tests a day with the bracket 1 and bracket 2 at 36 hundred dollars per day. Jason Hartman: Do you ever think, as I’m beginning to think, that some of these illnesses are almost intentionally created because they’re such big business? I hear commercials constantly for cancer centers on just regular AM radio. Is this really what our medical treatment’s devolved into? Ganae Girard: Well, I have to tell you. I have 36 thousand followers around the country, and I hear horror stories all the time of mistakes and problems that are occurring in our medical industry. It’s pretty scary. Jason Hartman: Yeah, it is. Ganae Girard: You really have to be your own advocate and protect yourself through doing research and educating yourself. It’s really the only way. Jason Hartman: Yeah, completely agree, completely agree. Ganae Girard: But what I wanted to tell you, well, what is it? 1 in 2 people in our country get cancer now, which is ridiculous. Jason Hartman: It’s absurd. It’s got to be… you’ve just got to wonder if the food manufacturers are in cahoots with the cure providers in any field, not just cancer, but in heart disease and everything. I mean, look at all the junk that’s in our food. Why is everybody getting sick? This is crazy. It should be the opposite. We’re in this modern world. People should be living better, not worse. Ganae Girard: Well this is scary too. The biggest import of illegal drugs is Oncology Drugs. Jason Hartman: Really? Is that from Canada? Ganae Girard: No, they come in from Miami, at the port of Miami. And what companies will do in Latin America, is they will take a vile of an Oncology Drug, because they can be 12 hundred dollars for a little 30ml vile. What they do is they put in Sodium Chloride, they cut the drug by half, put in sodium chloride, put a hologram on them that matches the lot number and the hologram of the manufacturer and they send them in through the port. So that is the highest illegally trafficked, way over cocaine, way over marijuana, anything like that because it’s more lucrative. Jason Hartman: Unbelievable. You can’t sell a vile of marijuana for 12 hundred dollars, right? Jason Hartman: That’s just unbelievable. Crazy, crazy, crazy. Well, give out your website Genae and tell people where they can find you or maybe you’ve got a Twitter handle as well. Ganae Girard: Yeah, they can go to its BeyondBoobieTrap.com. That is basically also where my book is sold. It’s called Off the Rack: Chronicles of a 30 Something Single Breast Cancer Survivor. And it’s on Amazon as well and on Barns and Noble, and you can pretty much find it everywhere. But we have a pretty strong community that they can find on that website, and there’s a lot of great postings and writing on that site that they can go to. They can also contact us and write us through that site too. Jason Hartman: Fantastic. Well, Genae keep up the good work and keep getting the word out there about this. It’s a great thing and it’s just great to see that the Supreme Court ruled in your favor and that helped a lot of people. Ganae Girard: Well, thanks Jason. I really appreciate you having me on here so that we can talk about this and just get other people knowing about what’s going on and educated about what’s going on. Because we get lost in our daily lives and sometimes we never hear about things like this. Jason Hartman: Yeah, it’s very important stuff. Thanks for joining us Genae. Announcer: What’s great about the shows you’ll find on JasonHartman.com is if you want to learn about investing in and managing income properties for college students, there’s a show for that. If you want to learn how to get noticed online and in social media, there’s a show for that. If you want to save on life’s largest expense, there’s a show for that. And if you’d like to know about America’s crime of the century, there’s even a show for that. Yep, there’s a show for just about anything, only from JasonHartman.com. Or type in “Jason Hartman” in the iTunes store. Narrator: Thank you for joining us today for the Holistic Survival Show. Protecting the people, places and profits you care about in uncertain times. Be sure to listen to our Creating Wealth Show, which focuses on exploiting the financial and wealth creation opportunities in today’s economy. Learn more at www.JasonHartman.com or search “Jason Hartman” on iTunes. This show is produced by the Hartman Media Company, offering very general guidelines and information. Opinions of guests are their own, and none of the content should be considered individual advice. If you require personalized advice, please consult an appropriate professional. Information deemed reliable, but not guaranteed. Supreme Court Expands Unreasonable Search Doctrine to Include – Everything!